Study of physiological functions in nutrition of foods, such as vegetables and fruits. Fresh vegetables that is used in a salad and seafoods, including seaweeds, that is popular all over the world are important to maintain the quality of some foods. These qualities vary according to the combination of cooking ingredients, including dressing materials. 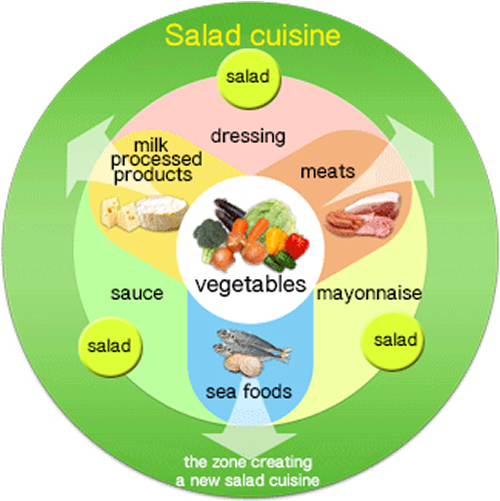 Therefore, we have been approaching to improve the palatability, functionality, and safety in a wide variety of salad ingredients. Copyright （C） Tokyo University of Marine Science All rights reserved.